The year is coming to a close here at U of M! We wanted to take the time to look back at some of the great moments we’ve had in GradSWE over the school year, starting with last summer. Kayaking down the Huron River: What’s the best activity on a hot summer day in Ann Arbor? Grab your swimsuits and head down to Argo Park for a two-hour kayaking excursion down the river! A group of GradSWE members took advantage of a beautiful day in July for some great group bonding, followed by a picnic lunch. Blueberry Picking: Summer in Michigan is a great time for blueberry picking! Late August saw many of our members heading out to a farm to pick (and eat!) some of the best berries Michigan has to offer. 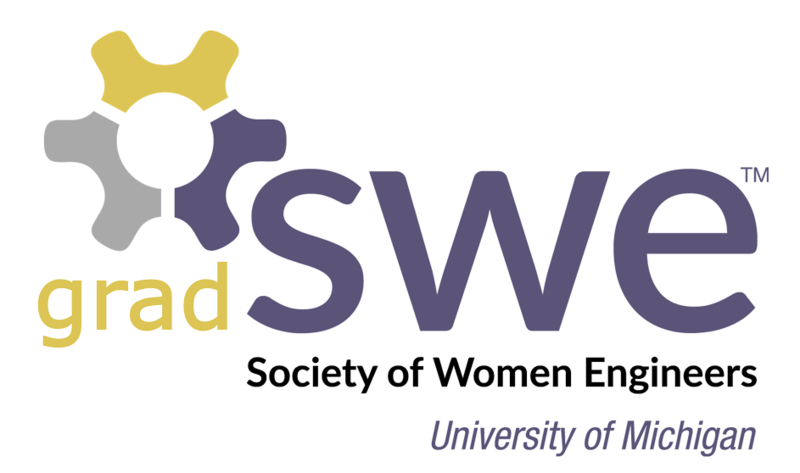 National SWE Conference in Nashville, TN: Nine of our members attended WE15, where they were able to connect with other GradSWE chapters, learn about the role of women engineers in academia and the workplace, and attend a great career fair! They also took the time to check out the local sites in Nashville and on the road trip down, including Mammoth Cave National Park in Kentucky. Holiday Party: Our annual holiday party was very well-attended! We built gingerbread houses, listened to classic holiday tunes, and said goodbye to our graduating members. Cross-Country Skiing: In January, skiers of all skill levels hit the “slopes” (aka the Huron Hills Golf Course) to learn to cross-country ski! After a quick lesson, we set off on the trails through the golf courses, which included some small hills and beautiful scenery. We finished up the day with a picnic lunch in the ski lodge. Entrepreneurship Series: This semester, GradSWE was lucky to partner with the University of Michigan Center for Entrepreneurship to hold workshops covering a wide range of topics- everything from building your own brand to fighting gender stereotypes in the workplace. The attendees were extremely impressed with the speakers and came away with valuable tips and tools to becoming more successful in her chosen field. Painting Party: For our February general body meeting, we had a do-it-yourself painting class! Members followed step-by-step instructions to create a garden scene. Every painting was unique, but all were beautiful! Female Faculty Mixers: These events were held many times throughout the year. Female faculty members joined GradSWE members for lunch to talk about careers in academia and their experiences in industry. These lunches were valuable for all attendees, and we loved hearing the personal stories of female professors! GradSWE at U of M has had a great past year, and we’re looking forward to an even better summer! If you’re in the area, check out events we’ll be holding to come make new friends, reconnect with old friends, and have a great time with a great group of people! Thanks to everyone that helped make this year a wonderful experience, and have a great summer! This past Thursday (March 24th), we held our third workshop, titled “Strategies to Overcome Gender Stereotypes.” This was a great workshop! We first talked about how to recognize gender stereotypes and microaggressions, both in the workplace and in our everyday lives. The presenter, Elizabeth Rohr from UMCFE, explored different types of stereotypes and microaggressions that can make women feel isolated, uncomfortable, and unwelcome in male dominated fields. The entire workshop was highly interactive, and we were able to share personal experiences and brainstorm solutions to problems we face, such as sizeism, sexist language, and assumptions of inferiority, among other topics. I believe these microaggressions are a rampant problem even in climates that are striving to promote diversity and inclusion. The danger of these microaggressions is the hostile climate it creates for women, and the simple fact is that the perpetrators of the climate are mostly unaware of how they are hurting the women around them. Every woman at this workshop had a story about her current struggle with these issues, and the few men present were mostly surprised by the issues raised. This is why these workshops are vital for women in STEM. We need to find both a sense of community and learn how to effectively communicate to our peers on the real issues we face. I have personally faced microaggressions with a male professor I briefly worked for. I was forced to communicate through another male professor because my emails were constantly ignored. In meetings I felt undervalued, attacked, and inferior. It was difficult to share these experience when friends would brush off the sexist undertones I felt in these interactions. Going to the UMCFE workshop helped me feel that I am not alone in these struggles, that I am not crazy, that I have a support network of women and men who understand. Since engineering is a traditionally male-dominated field, many women engineers have faced these types of stereotypes and microagressions. It’s sometimes hard to know what to say or how to deal with it, so I’ve really enjoyed learning about how to empower myself and those around me. UMCFE has done a great job of providing useful information on how we, as female engineers, can realize that we can successfully navigate the engineering field. GradSWE and SWE are very excited about this partnership, and we’re looking forward to the next workshop. Join us on Thursday, March 31st in the GM Room (Lurie building, 4th floor) for “Building your personal brand”.